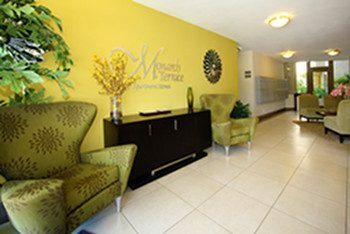 Monarch Terrace Apartments was purchased in December, 2007 from a private investment group. SCP partnered with a pension-fund advisor to acquire the asset. The property is very well located in a mature mixed-use neighborhood in Glendale, a large urban/suburban city approximately 5 miles northwest of downtown Los Angeles. The property has great visibility and excellent floor plans. It was built in 1959. With a very strong location, Monarch Terrace had good upside potential, but the building’s infrastructure needed updating. Its appearance was dated, and unit interiors were subpar vs. the competition. A plan was devised to dramatically change the property’s presentation. The renovation accomplished the mission of updating both the property’s systems and its appearance. Building exteriors, landscaping, amenity areas and unit interiors were vastly improved. Monarch Terrace was sold in 2016.